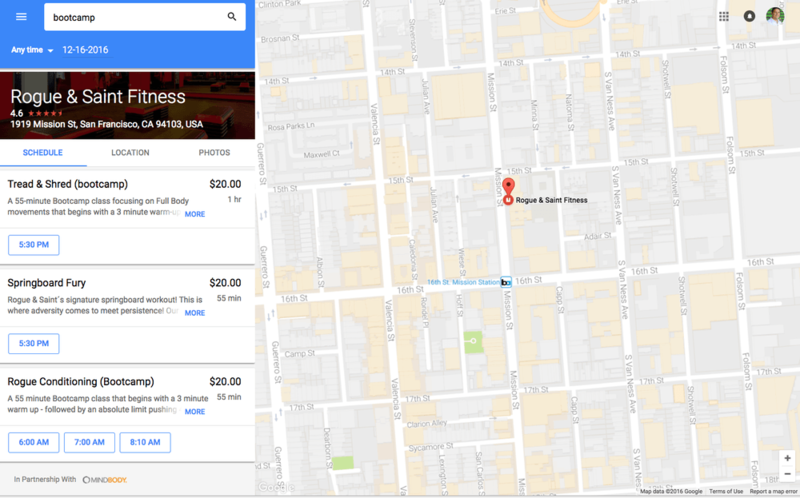 Google’s newest service, Reserve with Google (RwG), helps users find services and book appointments with local spas, gyms, and studios. Let’s take a look at how the newest Google service makes finding and booking services easier than ever before. 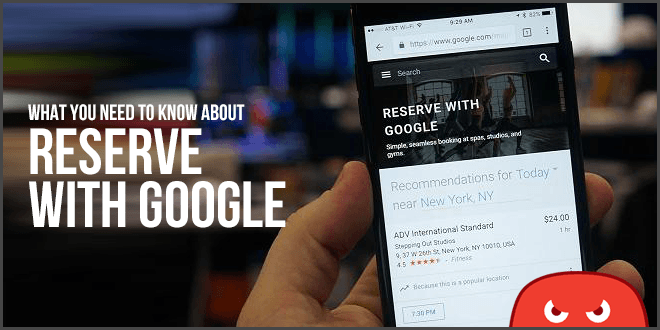 Reserve with Google is a new service that allows users to book an appointment or reservation with nearby service providers directly within the search engine. The booking service is currently available in 3 cities – San Francisco, Los Angeles, and New York. A nation-wide launch of the product is just on the horizon. After customers book their appointments, they are automatically reflected in whatever booking software you use. This helps business owners manage and track appointments with ease. Currently, Reserve with Google is only available for spas, studios, and gyms. Customers can search for these facilities near them and book massages, facials, yoga, spin classes and more. Though RwG is only available in the three above-mentioned cities, it is predicted to expand exponentially in the near future. Reserve with Google is free to set up. The only stipulation is that your business has an account with a scheduling software company, such as Appointy, Timely or Booker Software. Once you set-up your account, your business will automatically be listed on Reserve. Some scheduling software is free to use, while others carry a small service fee. That means there is little to no cost to you, the business owner, to work with RwG and make booking appointments for customers seamless. When Will RwG Reach My City? Reserve with Google is brand new — recently launched in early 2017, the service is still in its pilot stage. 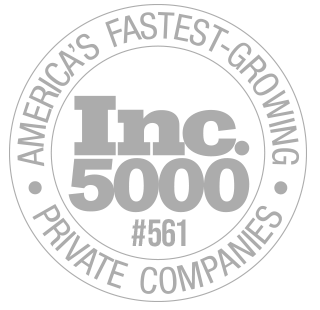 It’s predicted to launch nationwide and service more businesses than just those in the fitness industry in the near future. No specific launch date has been announced. How Do Customers Use this Service? Customers can find your business by searching for specific types of spa or gym services or classes being offered. Users search by their location and the date they are looking to book on. If you’re located nearby the search location and offer the services being requested, your business will be listed as a possible result for the client. Users are required to enter some basic information like their name, phone number, and email address. They are then presented with pricing and package options. If you are a yoga studio that offers a monthly package and price for classes, as well as individual pricing, this information will be available for the customer to view. Once the customer decides on a service and price, they will pay using a credit card. People are given the option to upload a credit card, making booking appointments in the future even easier. Google will also use a customer’s service choices to make recommendations and provide notifications for future classes they may be interested in. This is like free advertising for you! We’re seeing Google incorporate more and more services directly into the search engines, from booking hotels and spas to home services ads so it’s time to pay attention to how you can take advantage! In addition, getting reviews is becoming more important as decisions are being made in the actual search engines before users even visit your site! Keep on the look out in the near future for more game changing serp features like these.